Analysis: The details matter a great deal for the procedures in place at Thursday's Senate Judiciary Committee hearing on the alleged sexual assault. Christine Blasey Ford says she will testify before the Senate Judiciary Committee in open session on Thursday. Not all details have been finalized, but several that have don't work in her favor. Ford's attorneys appear to have studied the lessons of the Clarence Thomas-Anita Hill hearings of 1991. The Hill-Thomas hearings were held in a pre-#MeToo era. Despite the Judiciary Committee's stated concerns back then for the well-being of Hill, the questions and answers sometimes ring as somewhat dated and insensitive just a few decades later. Still, they yield some important lessons for Ford's team. Her attorneys were right to seek to have Kavanaugh testify first, but he won't be. He will be speaking second, after Ford has testified. In 1991, Thomas was able to listen to Hill's testimony, and subsequently respond to it. As then-Judiciary Chairman Sen. Joseph Biden informed Thomas: "The choice of the order of these hearings was left to you. I asked whether or not you wished to go first or second, and you chose, as is your right, to speak first and then, if you so chose, to speak last." This gave Thomas a considerable edge, one enjoyed in criminal trials by prosecutors. In federal criminal cases, the prosecution first gives its closing argument, then the defense gives its closing argument, and the prosecution then is allowed a rebuttal. The prosecution is the first and last voice the jury hears, with the defense sandwiched in the middle. The defense has no opportunity to rebut what the prosecution says at the very end. This considerable advantage in criminal cases is justified because it supposedly balances out the prosecution's heavy burden of proving its case beyond a reasonable doubt, and the defendant's presumption of innocence. In Kavanaugh's case, Republican senators can maximize his procedural advantage by both fighting for him to have the final word (a prosecutor's advantage), and also insisting that notions of criminal due process require something like a presumption of innocence, and a burden for the accuser akin to "beyond a reasonable doubt" (a defendant's advantage). Ford also is right to oppose GOP senators' proposal to hire outside counsel to question her. Republicans have started searching for a female lawyer to question Kavanaugh and Ford, although whether that will happen at the hearing remains unresolved. (Democratic senators will ask questions themselves.) If outside counsel is allowed for the GOP, that lawyer's gender will not benefit Ford. 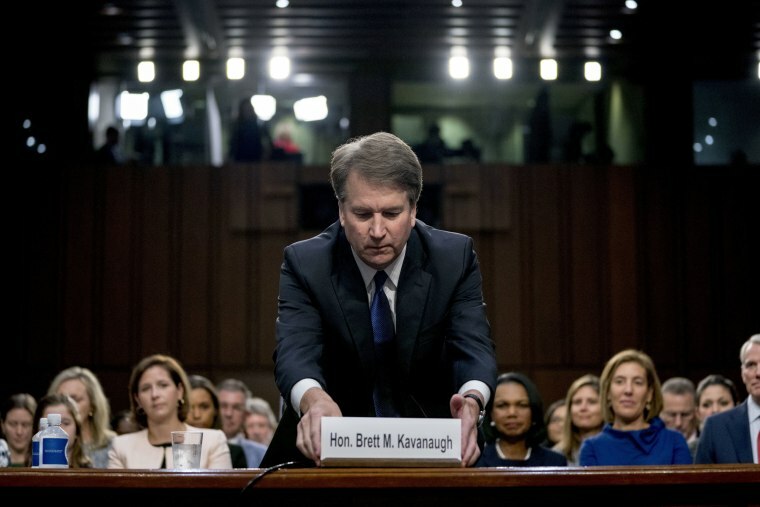 Male or female, the attorney likely will be more practiced at cross-examination than senators — even senators who were once trial lawyers themselves. Cross-examination is designed to exploit inconsistencies in testimony. Kavanaugh has the additional advantage here as a judge and lawyer more familiar with the art of cross-examination than Ford. While Kavanaugh has admittedly not handled a large percentage of criminal cases on the D.C. Circuit, appellate judges spend a lot of time reading trial transcripts and considering the mistakes witnesses made in their trial testimony. In addition, a cross-examining senator has a different objective than a cross-examining outside counsel. Senators have to be concerned about things like optics and their own constituencies. Cross-examining attorneys have no such concerns; they can — indeed, they are duty-bound by the requirement of zealous representation — to shred the witness without fear of political consequences. Keeping Kavanaugh and Ford out of the same room is a wise request from her lawyers, and which Judiciary Committee Chairman Chuck Grassley, R-Iowa, has agreed to. In criminal cases, a victim often is unable to avoid facing her alleged assailant, even though it might cause her great anxiety and affect her testimony. In criminal cases, the "Confrontation Clause" has been interpreted by the Supreme Court to express "a preference for face-to-face confrontation." The clause's central purpose is to ensure the reliability of the prosecution's evidence by subjecting it to rigorous testing in an adversarial proceeding. However, courts also recognize the potential trauma the clause's requirements inflict on victims forced to testify in open court, with their alleged assailant only feet away. Removing Kavanaugh from the room prevents him from benefiting from the Confrontation Clause advantage enjoyed by defendants in criminal cases. Finally, Ford's attorneys should oppose any artificial time restraints on her testimony. Setting arbitrary deadlines is a classic power move in the fields of litigation and negotiation. They should be categorically rejected by Ford's team if they serve no clear purpose. The issue has yet to be settled by the committee. As Biden said in the Thomas-Hill hearings, this is not a trial, it is not a courtroom, there is no formal verdict and no rules of evidence. Nearly 30 years later, that means Ford's attorneys must be extra vigilant.